It feels so good to use up products, like you actually accomplished something. "No, I didn't exercise, eat well, get out of the house, or move except for finishing up this face wash. I'm still productive, right?" That has to count for something! Anyhoo, this lot of random empties had been accumulating under the bathroom sink for months on end, so I'm glad I indeed accomplished something. 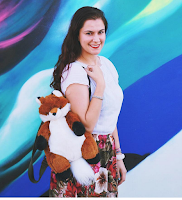 In case you missed them, check out my last empties posts: here & here. 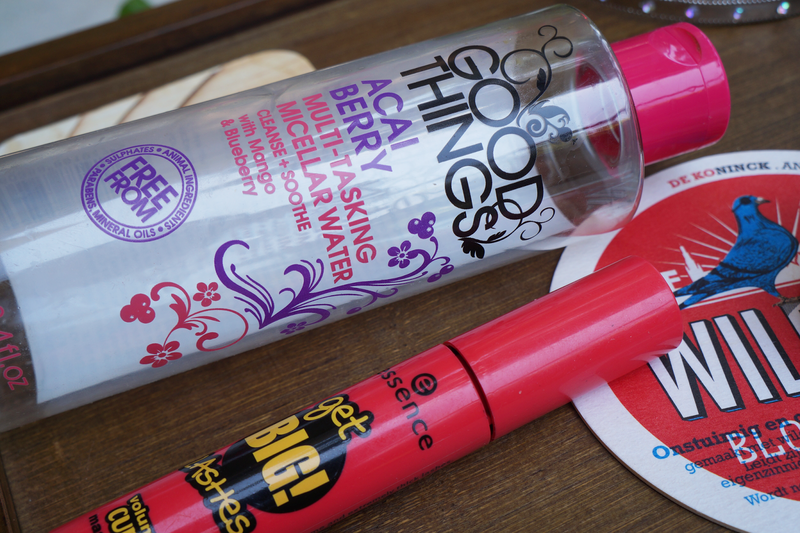 The Good Things Multi-Tasking Micellar Water was affordable & relatively effective. It was my first micellar water purchase. Can you believe it? You can read my full review here. I've been loving Essence mascaras ever since my trip to Europe last summer. Currently using this one. Essence Get BIG! Lashes Volume Curl Mascara definitely added volume to my lashes. I used the Primal Life Organics Primal Colors Foundation (similar) as a powder rather than its suggested wet form. As someone with oily skin, the powder helped me look less shiny. Read my review here. 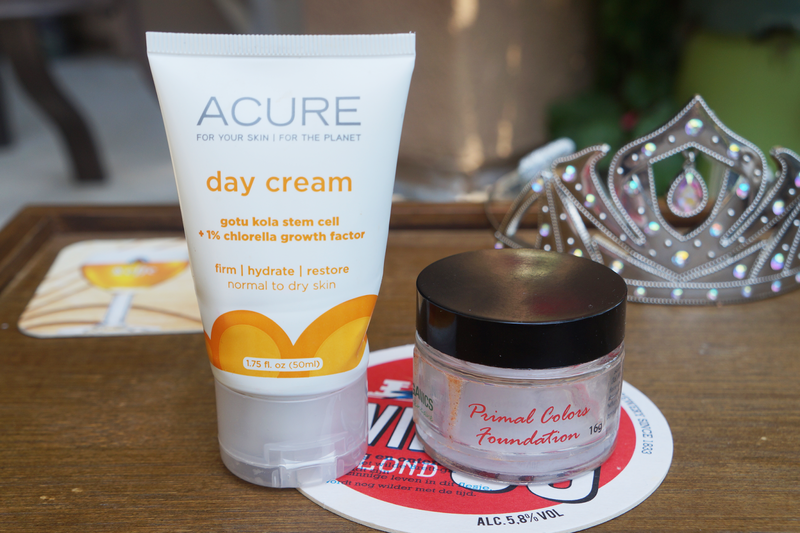 The Acure Day Cream was a favorite of both mine & Fred's. Read more about it here. I raved about the Palmer's Skin Success Eventone Facial Milk Foaming Cleanser (similar) because it was such a gem. The scent & foam were so alluring. Full review here. 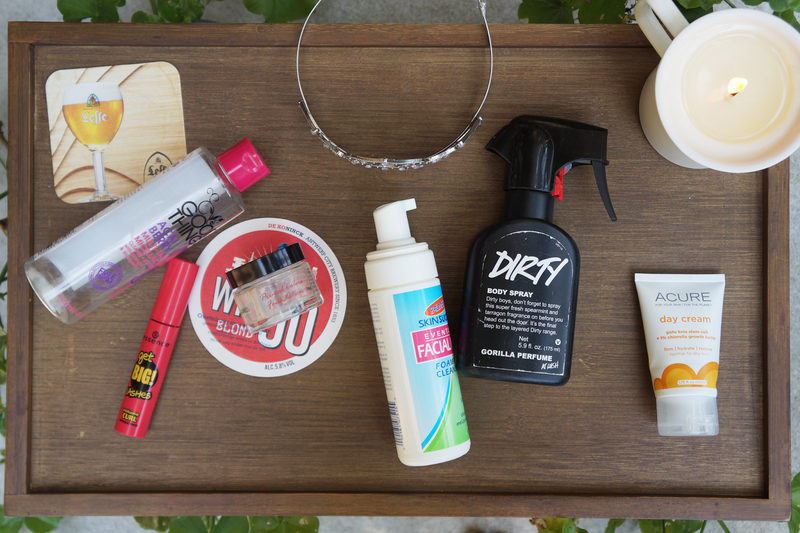 We took the Lush Dirty Body Spray to Coachella two years in a row & it was a lifesaver. Read more here. I might have to give that Micellar Water a try! I always go through my CeraVe lotion pretty quickly! I love Acure products, need to try this day cream!! I loooove the micellar water, so useful! Great post!! I haven't tried any of these products before. Thanks for sharing! You've got a lot of great products here and I agree there's great satisfaction in using the rest of a product! It does feel good to finish products! I currently am stock-piling a few empties so I can share my thoughts. They are my favorite types of posts! Okay, definitely need the Lush body spray for festivals...the past two weekends at Desert Trip were just as hot as Coachella normally is and so sweaty and dusty. Yuck! Wow... I don't think I manage to finish out products. It's either I get tired of them, they expired or I forgot I have them.. You are lucky finding gems working for you. Thanks for sharing!